Laramie is from Oklahoma and loves his basketball teams from OSU and the OKC Thunder. Laramie is still sad over the trade of Kevin Durant. 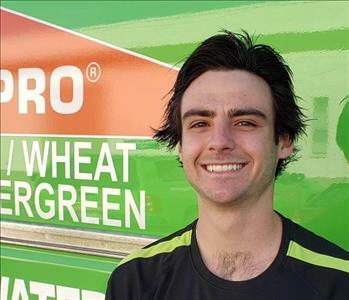 Steve has been with SERVPRO of Golden/Wheat Ridge/Evergreen since 2015. He is the Operations Supervisor and has over 22 years of experience in the loss remediation industry and a 10-year background in construction. 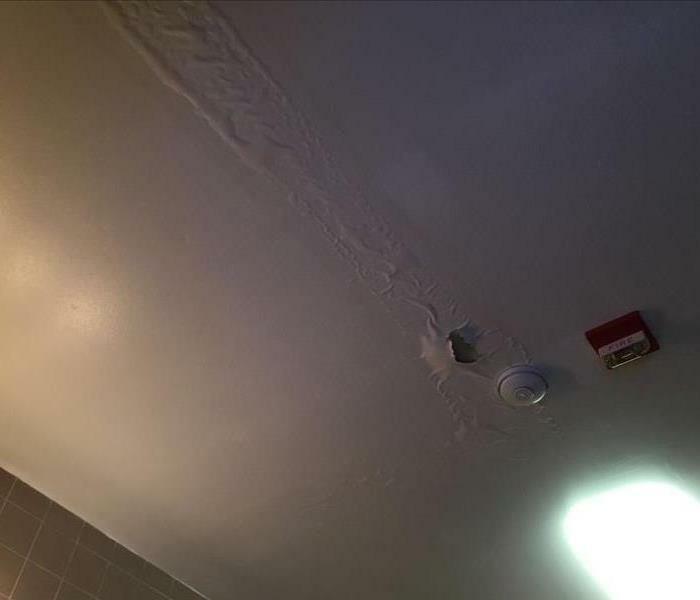 Steve has worked for SERVPRO for 22 years. Steve is an animal advocate and frequent rescuer of unwanted pets. Kit is the Office Manager for SERVPRO of Golden/Wheat Ridge/Evergreen. She joined us in 2017 and is IICRC Water Damage Restoration certified. Kit works with your insurance companies to make sure your claims are processed quickly and correctly to ensure fewer paper work snags for you. Kit has raised her 3 children in Evergreen, is a local artist, has worked as a chef in Alaskan fishing lodges and loves to travel. I have 3 brothers and 3 sisters and at 6’1” I am the second shortest. 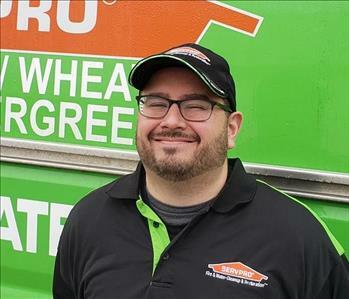 Cris has been with SERVPRO of Golden/Wheat Ridge/Evergreen since 2018. Cris served 4 years active duty with the US Marine Corps. He is training to become an EMT and Fireman. Cris works with beach clean-up efforts whenever he is near the ocean. 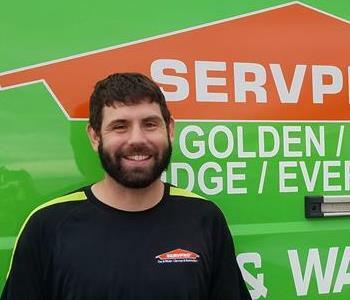 Ross joined SERVPRO Golden/Wheat Ridge/Evergreen in 2018. Ross has a background in construction, welding and maintenance. When not working Ross enjoys the outdoor life of camping, hiking, hunting and fishing. Ross grows gourmet mushrooms as a hobby. Ray joined SERVPRO of Golden/Wheat Ridge/Evergreen in 2017. Ray has a background in concrete, construction, remodeling and drywall. Ray is a football fan, though we can’t say which team… he also enjoys chess and similar strategy games. Ray is an advocate for autism awareness and support and is semi-fluent in sign language. Tristen is also OSHA Certified. Tristen has worked in construction his whole life and has 2 years of experience in restoration. He likes to skateboard, adventure motorcycle riding and camping. Tristen has lived in a tent in Alaska for 92 nights in a row. Lilly Spies has been with SERVPRO of Golden/Wheat Ridge/Evergreen since 2017. Lilly specializes in greeting all who come to the door and napping on her sofa. I am a Golden-doodle who is passionate about chasing rabbits, even though I’m never allowed to catch them. I recently tangled with a wild cat in my yard. Now I know how those bunnies feel. Winston joins Lilly in her capacity as official greeter and leads the way in sniffing out a possible snack. 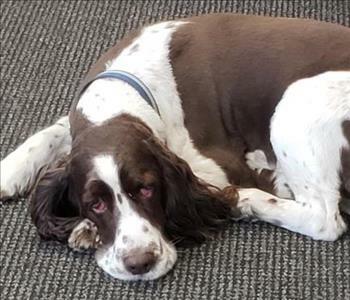 As a Springer Spaniel I am a natural bird dog and love to tramp the fields whenever we visit the mid-west. Everyone loves me, but Bronson is my favorite hooman. 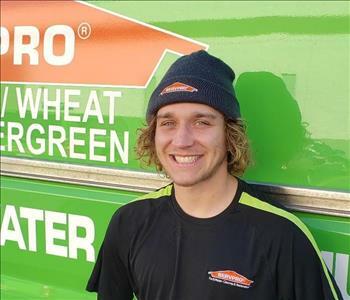 Bronson has been with SERVPRO Golden/Wheat Ridge/Evergreen since 2012. He is a Production Technician and is IICRC Certified Water Remediation Technician (WRT) and Fire and Smoke Restoration certified. Bronson enjoys hiking and camping in our beautiful Colorado mountains. He is an avid skateboarder and is seldom found without a book to read.